As Genesis healthcare provides specialist cancer treatment to clients in purpose-built cancer centres, it seemed fitting that we support a similar charity supporting patients affected by cancer and their families. 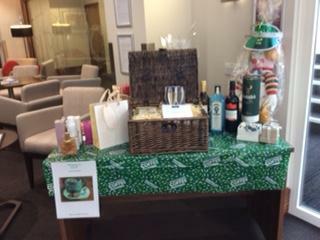 We chose to donate a raffle prize to Genesis' Macmillan coffee morning to raise as much money as possible. 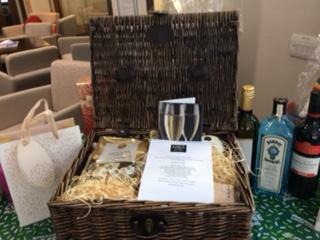 We chose a M & S hamper as they are a headline sponsor of the charity. 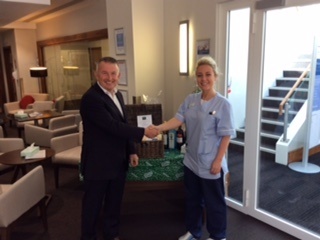 In the pictures you can see the prizes on offer and one of the Radiographers Amy Powell receiving The hamper from the Sales & Marketing Director of WINNS, Alan Davies.